Atout Process has been named as a participant in a major new research project. 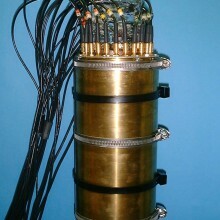 A European consortium, led by NEL (the National Engineering Laboratory, East Kilbride, UK) has been awarded a three-year research project to establish a reference measurement network and standards aimed at improving the accuracy of subsea multiphase flow measurement for the oil and gas industry. The 3 million euro project will be part-funded by the European Metrology Research Programme (EMRP) through EURAMET. Atout Process will work alongside National Measurement Institutes with industrial and academic partners from the UK, Czech Republic, Germany, the Netherlands and France.